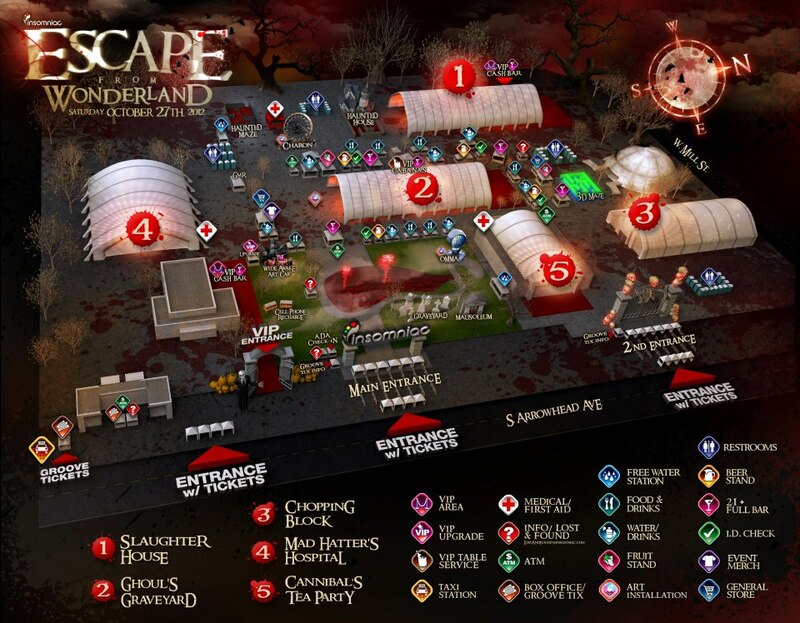 Escape from Wonderland is just around the corner, and now that set times and the festival map have been announced the only thing left to do is plan. 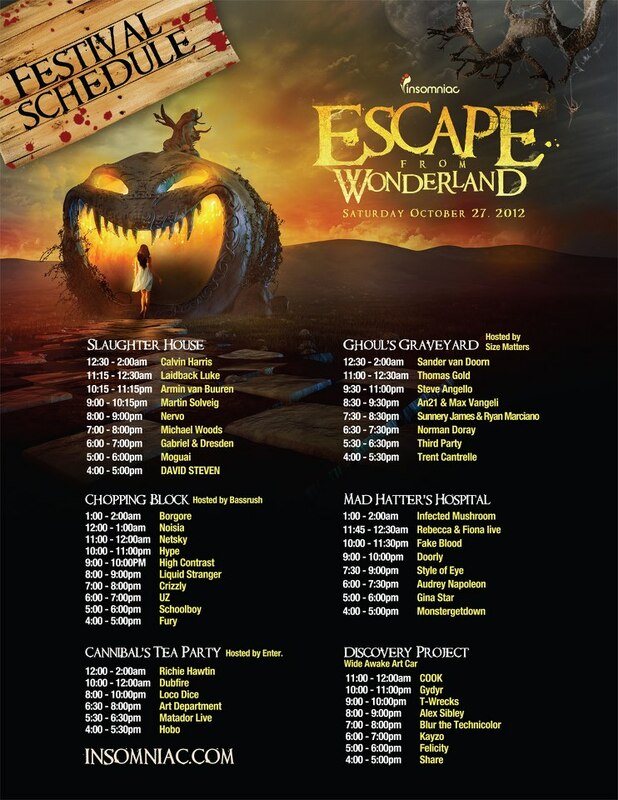 Escape From Wonderland will be taking place this upcoming Saturday, October 27, at the usual NOS Events Center in San Bernarino, from 4pm-2am. The amount of talent Insomniac was able to set up for this event is staggering, there is something for just about every type of electronic music fan here. 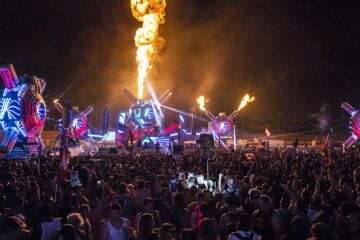 In addition to house and trance superstars such as Calvin Harris, Armin van Buuren, Laidback Luke, Steve Angello, Sander van Doorn and Martin Solveig, the festival will showcase some of the best names in dubstep, drum & bass, techno, and electro as well. 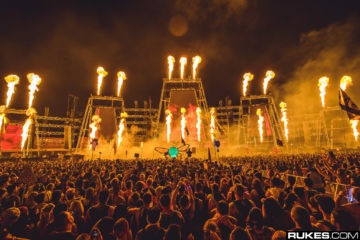 If you were in attendance at Beyond Wonderland or Nocturnal Wonderland earlier this year, the setup is very similar to that so you won’t need to worry about re-learning a new map. The five stages of the festival each are sure to have a different feel; the Slaughter House and Ghoul’s Graveyard catering a bit more towards the mainstream and the Chopping Block, Mad Hatter’s Hospital and Cannibal’s Tea Party keeping things going with the underground sounds. No matter which area you choose, you can be sure it’s going to be a rocking good time inside. 5:00-6:00 – Moguai – Slaughter House. After releasing an album on mau5trap earlier this year, Moguai has been somewhat quiet as of late. Hopefully that means he’s been working on new tunes. 6:00-7:00 – UZ – Chopping Block. The mysterious UZ makes one of his first west coast appearances here, and admittedly having been swept up in a bit of the trap music craze I need to see what all of his hype is about. 7:00-7:30 – Crizzly – Chopping Block. 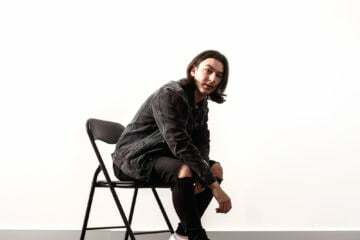 Crizzly’s style of crunk/dubstep/heavy bass has been praised for creating a wild atmosphere when performed live. 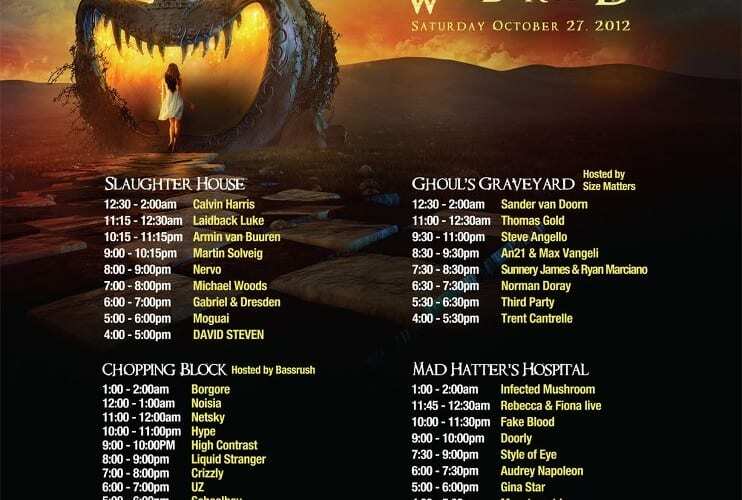 7:30-8:00 – Sunnery James & Ryan Marciano – Ghoul’s Graveyard. I caught a bit of these two house producers’ set at EDC Las Vegas and was very impressed. They certainly know how to work a crowd and their song selection is always on point. 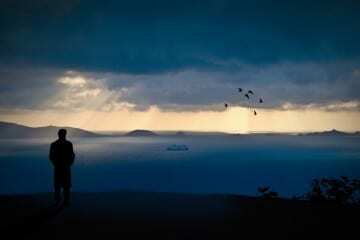 8:00-9:00 – Nervo – Slaughter House. Australian sisters Liv and Mim have me hooked on their podcast, and if their song selections there are any indication I’m in for a treat. 9:00-10:00 – Doorly – Mad Hatter’s Hospital. I’ll admit I don’t know much about Doorly other than he’s been in the game a while and he has some great remixes. I’ve heard he throws down a killer live set too. 10:00-11:15 – Fake Blood – Mad Hatter’s Hospital. I’ve seen Fake Blood the previous 2 years for Halloween, so I need to keep with tradition. 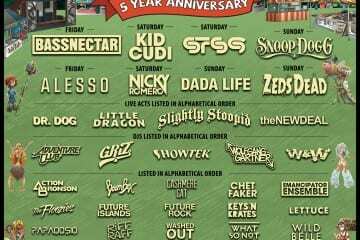 11:15-12:30 – Laidback Luke – Slaughter House. Luke threw down one of, if not the best set I’ve seen all year back in May when I saw him at I Love This City. I can’t wait to see what he has in store this time. 12:30 – 2:00 – Richie Hawtin – Cannibal’s Tea Party. Richie’s Enter project has generated a lot of buzz. I wasn’t able to catch it at EDC Las Vegas due to the wind shutting down the event on night two, but I’ll be seizing this opportunity. If you still need tickets for the event, they’re available here.